The human body is an amazing thing. For each one of us, it’s the most intimate object we know. And yet most of us don’t know enough about it: its features, functions, quirks, and mysteries. That’s why we’re launching a new series called The Body, which will explore human anatomy, part by part. Think of it as a mini digital encyclopedia with a dose of wow. Everyone knows that when you get cut, you bleed—a result of the constant movement of blood through our bodies. But do you know all of the functions the circulatory system actually performs? Here are some surprising facts about human blood—and a few cringe-worthy theories that preceded the modern scientific understanding of this vital fluid. Long before we had scientific proof of the importance of the circulation system, ancient people knew it was important to health. That may be one reason for bloodletting, the practice of cutting people to “cure” everything from cancer to infections to mental illness. For the better part of two millennia, it persisted as one of the most common medical procedures. Hippocrates, for example, believed that illness was caused by an imbalance of four “humors”—blood, phlegm, black bile, and yellow bile. For centuries, doctors believed balance could be restored by removing excess blood, often by bloodletting or leeches. It didn’t always go so well. George Washington, for example, died soon after his physician treated a sore throat with bloodletting and a series of other agonizing procedures. By the mid 19th century, bloodletting was on its way out. That said, it hasn’t completely disappeared. Bloodletting has actually been proven an effective treatment for some rare conditions like hemochromatosis, an excess of iron in the body that can lead to liver disease and heart problems. 2. SCIENTISTS DIDN'T DISCOVER HOW BLOOD CIRCULATION ACTUALLY WORKED TILL THE 17TH CENTURY. William Harvey, an English physician, is generally credited with discovering and demonstrating the mechanics of circulation, though his work developed out of the cumulative body of research on the subject over centuries. The prevailing theory in Harvey’s time was that the lungs, not the heart, moved blood through the body. In part by dissecting living animals and studying their still-beating hearts, Harvey was able to describe how the heart pumped blood through the body and how blood returned to the heart. He also showed how valves in veins helped control the flow of blood through the body. Harvey was ridiculed by many of his contemporaries, but his theories were ultimately vindicated. 3. 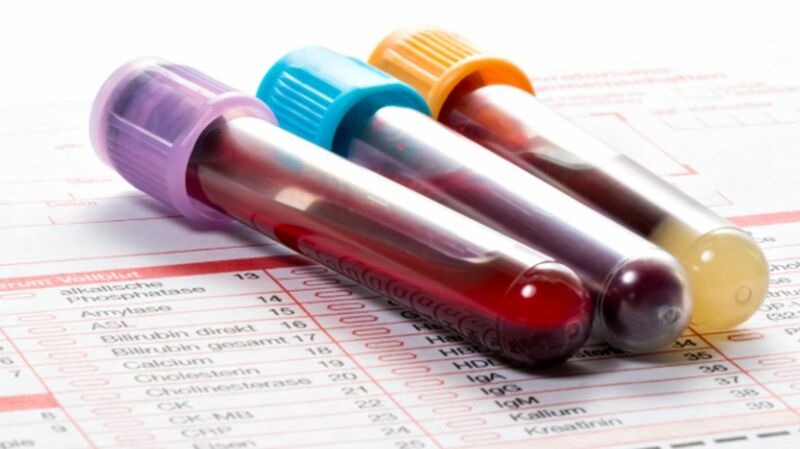 BLOOD TYPES WERE ONLY DISCOVERED IN THE EARLY 20TH CENTURY. Austrian physician Karl Landsteiner first discovered different blood groups in 1901, after he noticed that blood mixed from people with different types would clot. His subsequent research classified types A, B and O. (Later research identified an additional type, AB). Blood types are differentiated by the kinds of antigens—molecules that provoke an immune system reaction—that attach to red blood cells. People with Type A blood have only A antigens attached to their red cells but have B antigens in their plasma. In those with Type B blood, the location of the antigens is reversed. Type O blood has neither A nor B antigens on red cells, but both are present in the plasma. And finally, Type AB has both A and B antigens on red cells but neither in plasma. But wait, there’s more! When a third antigen, called the Rh factor, is present, the blood type is classified as positive. When Rh factor is absent, the blood type is negative. Got it? Scientists still don’t understand why humans have different blood types, but knowing yours is important: Some people have life-threatening reactions if they receive a blood type during a transfusion that doesn’t “mix” with their own. Before researchers developed reliable ways to detect blood types, that tended to turn out badly for people receiving an incompatible human (or animal!) blood transfusion. 4. BLOOD MAKES UP ABOUT 8 PERCENT OF OUR TOTAL BODY WEIGHT. Plasma, the liquid portion of our blood, accounts for about 3 liters. It carries red and white blood cells and platelets, which deliver oxygen to our cells, fight disease, and repair damaged vessels. These are joined by electrolytes, antibodies, vitamins, proteins, and other nutrients required to nourish all the other cells in the body. 5. THE LIFE SPAN OF A HEALTHY RED BLOOD CELL IS ONLY ABOUT 120 DAYS. Red blood cells contain an important protein called hemoglobin that delivers oxygen to all the other cells in our bodies. It also carries carbon dioxide from those cells back to the lungs. Red blood cells are produced in our bone marrow. But not everyone produces the healthy ones. Sufferers of sickle cell anemia, a hereditary condition, develop malformed red blood cells that can’t move easily through blood vessels. These blood cells last only 10 to 20 days, which leads to a chronic shortage of red blood cells, often causing to pain, infection, and organ damage. 6. BLOOD COULD POTENTIALLY PLAY A ROLE IN TREATING ALZHEIMER'S. In 2014, research led by Stanford University scientists found that injecting the plasma of young mice into older mice improved memory and learning. Their findings follow years of experiments in which scientists surgically joined the circulatory systems of old and young mice to test whether young blood could reverse signs of aging. Those results showed rejuvenating effects of a particular blood protein on the organs of older mice, as well as muscle stem cells. The Stanford team’s findings that young blood had positive effects on mouse memory and learning sparked intense interest in whether it could eventually lead to new treatments for Alzheimer’s disease. The scientist who led the research is now testing the effects of young plasma on Alzheimer’s patients. And in August, a California start-up announced it would conduct a clinical trial with volunteers 35 and older to see if a young (human) plasma injection offered anti-aging benefits. That trial is proving controversial, however, because of the price tag: The company will charge patients $8000 to participate. 7. AFRAID OF BLOOD? THERE'S A DIAGNOSIS FOR THAT. If you’ve cringed your way through this list, you’re not alone—many are a bit squeamish about blood. But for 3 to 4 percent of people, squeamishness associated with blood, injury, or invasive medical procedures like injections rises to the level of a true phobia. It’s called blood injury injection phobia (BII). And most sufferers share a common reaction: fainting. Most phobias cause an increase in heart rate and blood pressure, and often muscle tension, shakes, and sweating. This is part of the body’s sympathetic nervous system’s “fight or flight” response. But sufferers of BII experience an added symptom: after initially increasing, their blood pressure and heart rate will abruptly drop. This reaction is caused by the vagus nerve, which works to keep a steady heart rate, among other things. But the vagus nerve sometimes overdoes it, pushing blood pressure and heart rate too low. (You may have experienced this phenomenon if you’ve ever felt faint while hungry, dehydrated, startled, or standing up too fast.) For BII sufferers, this so-called vasovagal response can happen at the mere sight or suggestion of blood, needles, or bodily injury, making even a routine medical or dental checkup cause for dread and embarrassment.